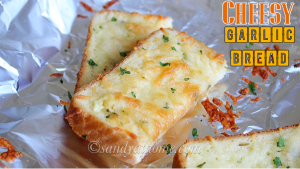 Instant Cheesy garlic bread/ Cheese Garlic bread are super easy and super delicious recipe with flavors of garlic that takes just 10 minutes to prepare. 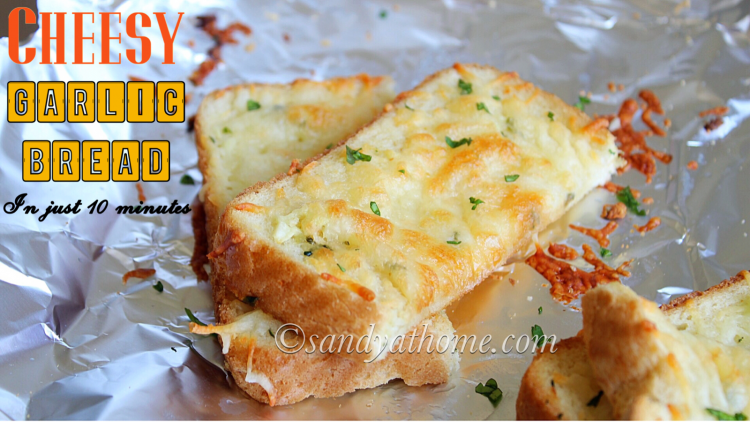 Yes that’s true we don’t have to knead a dough, nor wait for hours, still get perfect garlic bread loaded with all the flavors and taste that the regular one contains. Don’t you want to know how? 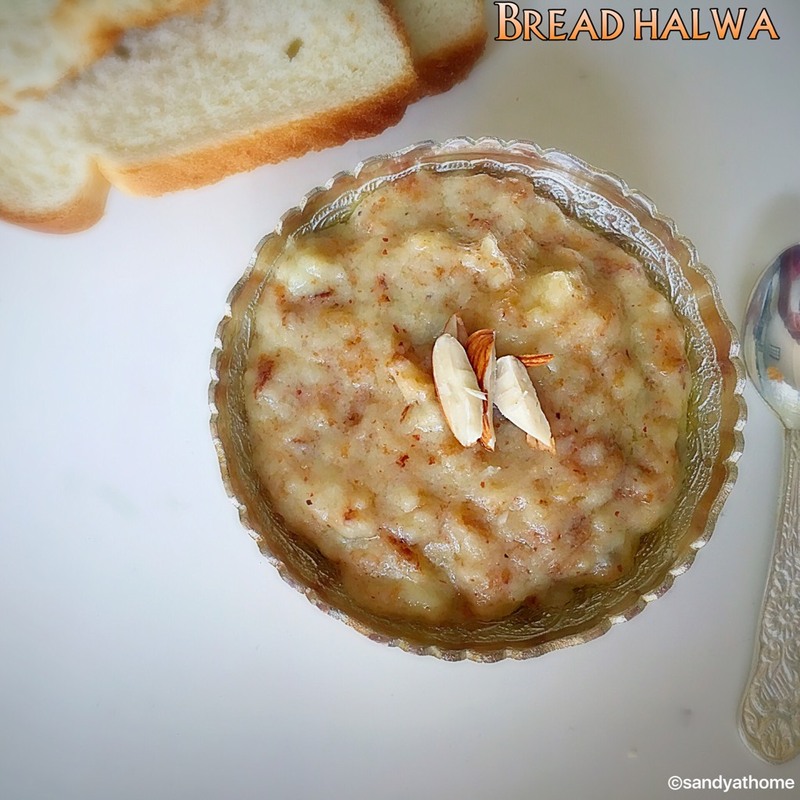 For this recipe I used the regular bread slices which works like a magic along with the garlic butter spread and cheese. 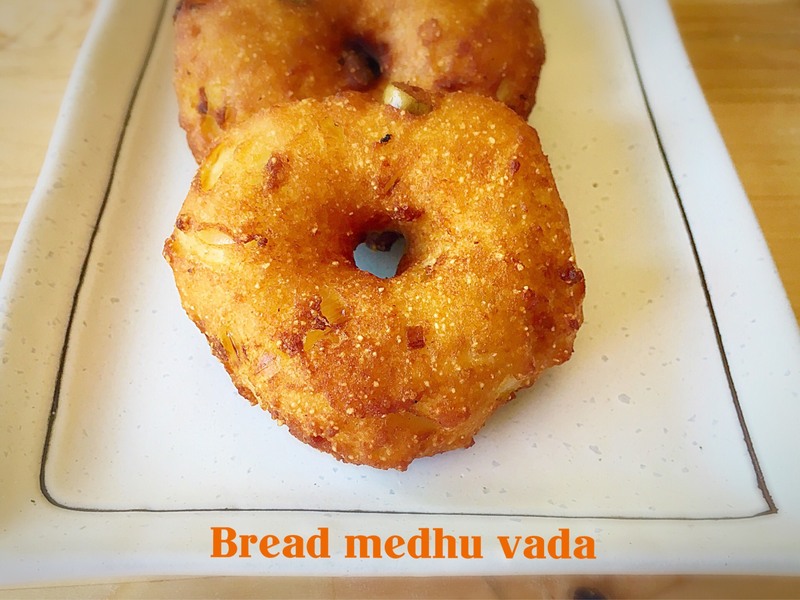 Yes all you need is handful ingredients and 10 minutes to get it ready. 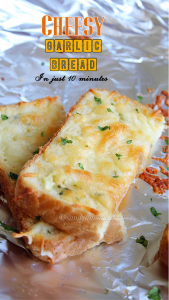 This is my go to recipe when we suddenly crave for garlic bread/ or end up having no snacks/ side accompany for any soup or pasta. So once you make it at home I am sure it will be yours too. So when you make it can alter the quantity according to your taste and preference as the below quantity is like by my family. So lets get to the making! Preheat oven at 350F/ 180C. 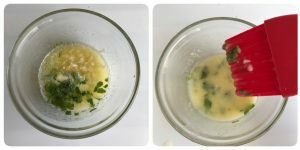 In a bowl add melted butter, chopped garlic, garlic powder and chopped parsley. Mix well and keep it aside. 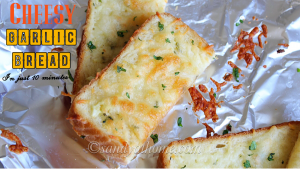 Now in a baking tray, place aluminum foil and arrange the bread slices. 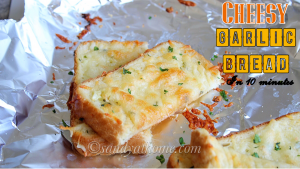 Now using a basting brush apply the garlic butter mixture all over the bread evenly. 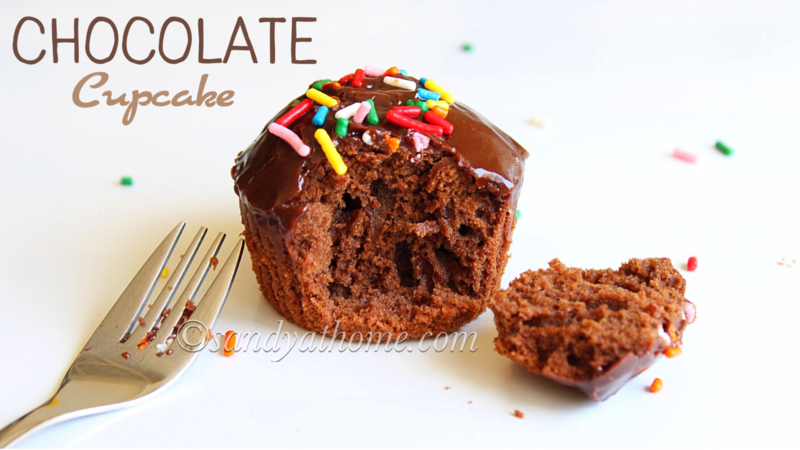 Apply this mixture only on the top part. 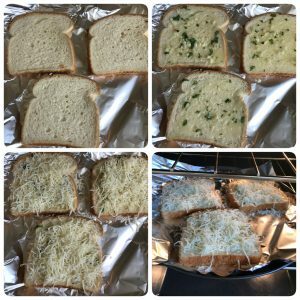 Now spread the shredded cheese on the bread slices and place it in the preheated oven. 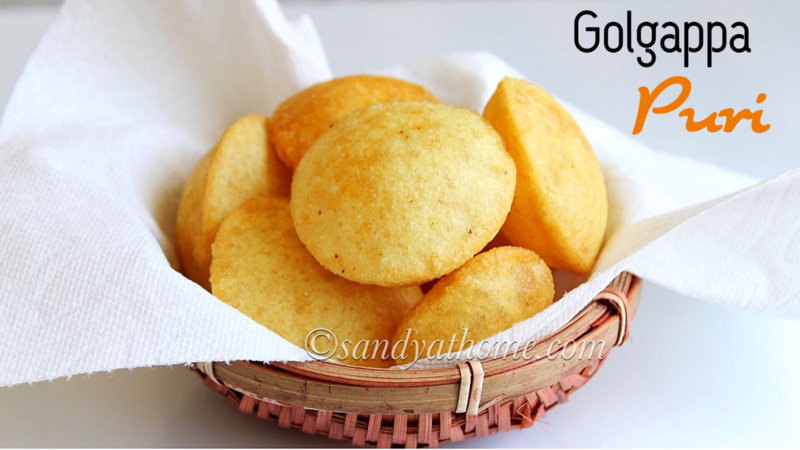 Bake it for 10 minutes or until cheese has melted, light golden color has achieved on the top and till nice aroma is reached. Every oven is different so keep an eye to make sure it is not burning. 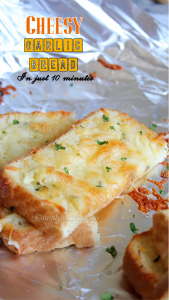 After 10 minutes take the garlic bread slices out of the oven and slice them in desired shapes and serve it hot!